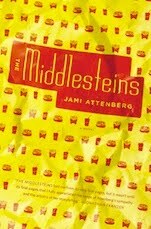 I have a complicated relationship with Young Adult novels. When I was the right age to read them (they're usually aimed at kids from age 12 to age 15) I resented them; I wanted to be reading books that you could buy in the rest of the store. Like most of the characters portrayed in the stories I secretly enjoyed, I was angsty about being lumped in with the kids' section at the back of the bookstore. Now, though, I look back at those books with a great deal of fondness. By and large, YA novels are well written and, rather than talking down to the reader, treat them like the grown-up (or at least older teenager) they so want to be. Among my favourite YA authors are Canadian Janet Lunn and the delightful Roald Dahl, although I certainly read widely. I also went through a period where I read a lot of stories about WWII for some reason. Generally, I was pretty into historical fiction, which is abundant in YA novels. I could reminisce forever about the books I loved back then, but Lizzie Skurnick does that really well already. Also, over at Persnickety Snark (a blog dedicated to reviewing YA novels), they are putting together a list of the top-100 YA books and have started a poll that lets you vote for your top-10 YA titles. I am not a big book list person (unless you count this blog as a protracted exercise at listing), but I do like voting for things, especially when to vote I get to write in my own choices instead of working with what's already there. *I should just say that these were my favourite YA books when I was in the YA age group. That was before I read The Golden Compass or any of the Harry Potter books, which would otherwise make the list. 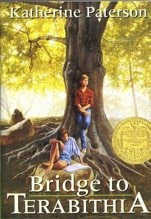 Image shown is the cover of Katherine Paterson's Bridge to Terabithia (Harper Trophy edition).